Application : Agriculture,Commerical,Home Application, Marine,Ships Etc. 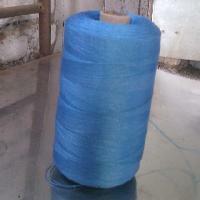 Swaraj Poly Plast Pvt. Ltd.
We source the raw material from the leading vendors and manufacturers in the market; thus, we are capable of fulfilling the exact requirements of the clients with our offered products. We keep a record of the shipping arrangements we offer so as to increases our efficiency and gains the trust of the customers. 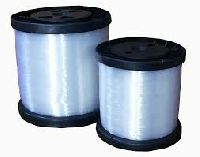 Largest manufacturer of hdpe twine in all sizes like 2×3 to 30×3 in hanks and cheese for fishing net and safety net manufacturer. With uv stable more strength and shining. 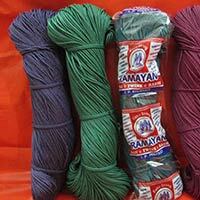 Good length for more pieces in nets. Also usage in sports net. The Fishing Twines made up of premium quality High Density Polyethylene Ropes are designed to offer strength coupled with comfortable handling qualities. 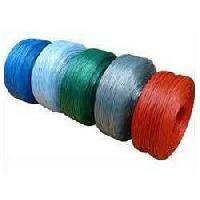 We are offering hdpe monofilament twine available size 0.50mm to 3mm in blue colour or any other colours as party requirement.2#3 to 30#3 virgin superior quality. 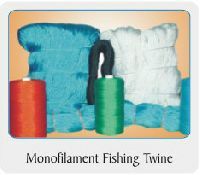 Our monofilament twine usage in fishing net, safety net, agricultural usage also. 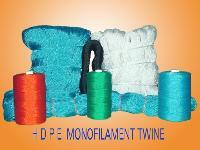 We are also making uv stable monofilament twine for better result in sunlight.